M3 Free Mac Data Recovery is not only a free Mac data recovery software, but also a Mac undelete freeware to recover deleted, lost files in Mac OSX computer. As free Mac photo recovery software, M3 Free Mac Data Recovery can recover deleted, lost photos as well as videos, audios, documents, emails and other files in Mac OSX. All in all, M3 Free Mac Data Recovery can easily recover deleted files, recover data from formatted drive, recover data from deleted or lost partition, recover data lost due to virus attack, system crash, power failure, hard drive crash and other unknown reasons. M3 Free Mac Data Recovery can recover deleted, lost files both from Mac-based hard drive as well as iPod, digital camera, USB flash drive, memory card, CF card, SD card, etc. While most Mac data recovery software on the current market can only recover data from media storage. -Support Mac data recovery from Mac OSX 10.6 (Snow Leopard). Recover all deleted photos from iPhoto. I deleted all photos from iPhoto and then emptied them from iPhoto Trash. Lost File Recovery only found a few of photos, but I used RAW Recovery and then got all deleted photos back. Not worth to download at all!. It was scanning 10 hours but it found lost files (pictures in raw). Unfortunately when I saved free 20 files they are empty... it's really strange, the program is showing the real size and then saving it as 0 bytes. Nothing useful about it!! i really don;t understand what it is a use to find a file and save as empty... I need a picture, not just an icon. Nothing free about it. How can a software that allows you to recover one file and then slaps a $50 price on further recovery be described as FREE? 12 hours to scan, then recover a file, then pay or start again. That's called a rip-off where I come from. 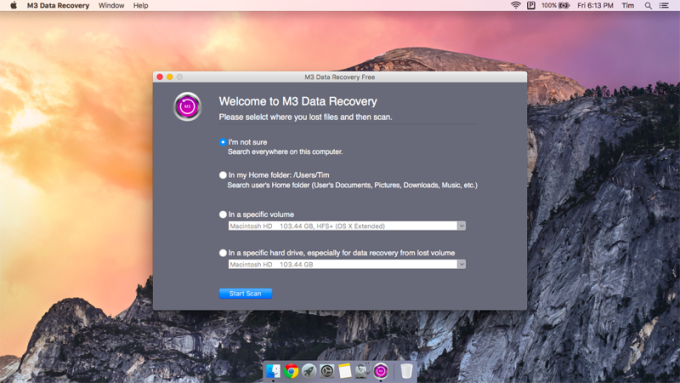 What do you think about M3 Free Mac Data Recovery? Do you recommend it? Why?